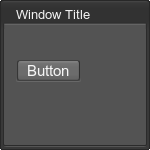 All GUI elements in Unigine are generated on the fly from UI files, which are in the XML format. These files describe containers and widgets provided by Unigine. Each of them is described by an XML tag in the UI file. As a correct XML file, a UI file must start with a standard declaration. The second required element is a root tag ui. This root element can contain zero or more other elements (tags) specifying the interface. If a UI file is not syntactically correct, Unigine will log the error to the console and the main log file. All UI files are treated as having the UTF-8 encoding, even if you specify another one in the declaration. All dimensions provided as attribute values are in pixels. File names are relative to the root data directory. Colors are in the Web format, that is, #RRGGBB, or in the #RRGGBBAA format. Here RR, GG, BB, and AA correspond to a hexadecimal color component value—red, green, blue, and alpha, respectively; values range from 00 to FF. Boolean values can be set in different forms. For FALSE use: 0, false, no. For TRUE use: 1, true, yes. 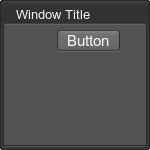 All GUI elements—both containers and widgets —can have the following attributes. A unique name of the widget. 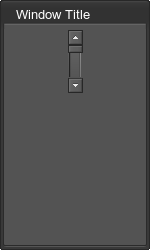 If the export flag is set to yes, the widget will be referred to in scripts by this name. The name may contain a namespace specification and/or an array index. 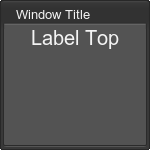 A name of a widget that receives the focus next, if the user presses the TAB key. If this attribute is omitted, the widget that immediately follows the current one will receive the focus. Centers the widget in both dimensions in the available space. Aligns the widget to the left side. Aligns the widget to the right side. Aligns the widget to the top. Aligns the widget to the bottom. Justifies the text in the available space. Places the widget over the contents of the parent container. Places the widget underneath other widgets in the same container. Use this flag together with overlap one. Places the widget in focus on the background or on the foreground (depending on where it was created). This flag is valid only if overlap flag is also set. 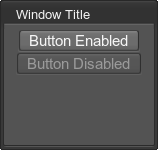 Non-fixed overlapping windows can pop over the fixed ones, while the latter cannot do it. The x -coordinate of the widget relative to its parent container. It takes effect only if the overlap alignment flag is set. The y -coordinate of the widget relative to its parent container. It takes effect only if the overlap alignment flag is set. The widget will not be exported. The widget will be exported. The container will be shown in the UI as usual. The container will not be shown in the UI and you will be able to refer it by using the reference tag. There are tags that used for outputting and formatting text. 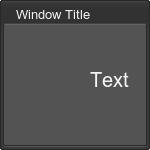 Many widgets and containers have a text child, which provides some formatting capabilities. Whether the text inside the tag is formatted or plain. The default is 0 (boolean), which corresponds to plain. Path to a TrueType font file, which will be used by default. 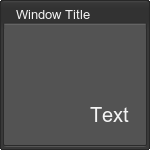 Whether a text color should be changed when the widget is disabled (non active), transparent (enabled option on non-active window), or widget loses focus. The default is 0 (not to change the color). 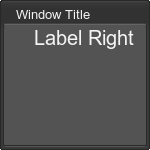 For example, when the window is disabled, the second label doesn't change its color. Whether the text should be outlined. 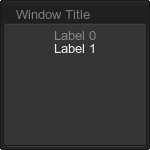 The default is 0 (boolean), which corresponds to no outlining. The outlined text is represented on the right picture. Whether the text should be wrapped around, if it does not fit width of the container. The default is 0 (boolean), which corresponds to no wrapping. Horizontal spacing (in pixels) between letters. The default is 0. Vertical spacing (in pixels) between text lines. The default is 0. Horizontal text offset (in pixels). The default is 0 (no offset). Vertical text offset (in pixels). The default is 0 (no offset). Whether the text can be translated. The default is 1 (boolean), which means that the text depends on the selected language. Enables to change font characteristics of widgets and containers. 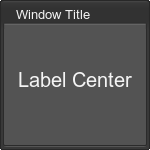 This tag can be applied to a group of widgets or containers. The list of attributes is the same as for the text tag except thetranslate attribute. This attribute should be applied to a text or a label individually (see the example below). 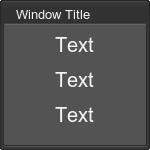 If the rich attribute is set to 1, all available rich text formatting tags can be applied to the text of any widget inside the group. If the nested font tag is applied to a widget or a container, font properties are not inherited. If the font tag is applied to the rich text inside a widget or a container, font properties are inherited. In this case, the list of font attributes will differ. See the details below. Unlike the align attribute of the text tag, thealign tag can be applied to a group of widgets. Acceptable values are center, left, right. Both the <br> and <br/> notations are valid. Paragraph. Acceptable attributes: align with values center, left, right, justify. Centered alignment. Equivalent to <p align="center">text</center>. Font characteristics. 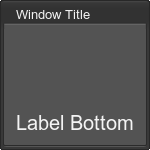 This tag enables to change default font characteristics. It differs from the font tag, which is described above. Font tags applied to a rich text can be nested, all font properties are inherited in this case. Path to a TrueType font file. Overall spacing (in pixels) between text lines. The default is 0. Horizontal spacing (pixels). Sets a space between table content and the left and right table borders. Vertical spacing (pixels). Sets a space between table content and the upper and bottom table borders. Horizontal offset of the table. Vertical offset of the table. Sets a height of the row. Sets a width of the column. X coordinate of the text. Y coordinate of the text. X coordinate of the text relative to the current text container. Y coordinate of the text relative to the current text container. Text offset along the X axis. Text offset along the Y axis. x=%0 y=%0 values correspond to the top left corner of the text container. x=%0 y=%100 values correspond to the bottom left corner of the text container. To adjust the text position, use the dx and dy attributes. In the example, the white space between the "This is a" and "long text" parts isn't taken into account when calculating the position. X coordinate of the image. Y coordinate of the image. 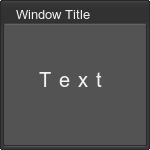 X coordinate of the image relative to the current text container. Y coordinate of the image relative to the current text container. Image offset along the X axis. Image offset along the Y axis. Horizontal scale factor for the image size in percents relative to its current size. By default, a horizontal scale of an image is 100%. Vertical scale factor for the image size in percents relative to its current size. By default, a vertical scale of an image is 100%. Overall scale factor for the image size in percents relative to its current size. By default, a scale of an image is 100%. To adjust the image position, use the dx and dy attributes. 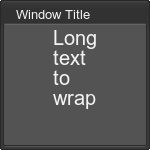 Aligns the text that follows this tag to the right border of a widget. Both the <right> and <right/> notations are valid. This tag allows including the external *.ui file. The name attribute of widgets and containers defined in the external file must be unique. Path to the *.ui file to be included. This tag serves to refer to containers. The containers, which are referred by the reference tag, must have the name attribute. 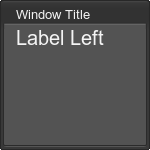 The referred container will not be displayed: only its content will be shown. A container name to which the reference is made. The name of this attribute is a part of the widget name that need to be replaced. The acceptable value of the attribute is a replacement string. This is an optional attribute. 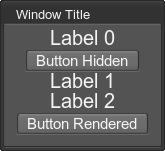 If you want to use the same widget (or container) in different parts of your GUI with minimum changes, you can add a reference to it rather than duplicate. 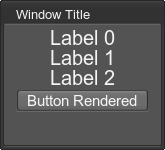 To change a child of the widget, first you should define its name attribute and set the export attribute to 1. Then you need to add the reference tag with the custom attribute. 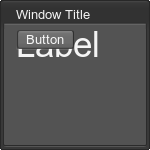 In the example, this attribute named label_N. The value of this attribute is a name of an object of the WidgetLabel class that is declared in the script and is subjected to change.